This piece originally appeared on Conservatives for Liberty on 24/09/2016. 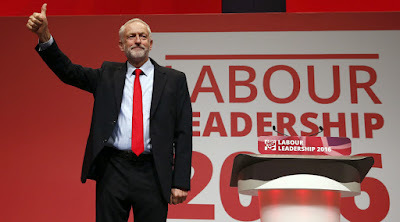 Labour will today elect their new leader, or more likely, the old one. Far from unseating Jeremy Corbyn, the coup, vote of no confidence, and Owen Smith’s leadership challenge, have merely served to galvanise the membership, all of whom overwhelmingly seem to back the right honourable member for Islington North. Much has been made during the contest about Corbyn’s lack of leadership, and his poor handling of those of his colleagues who don’t reside on the far left of the party. 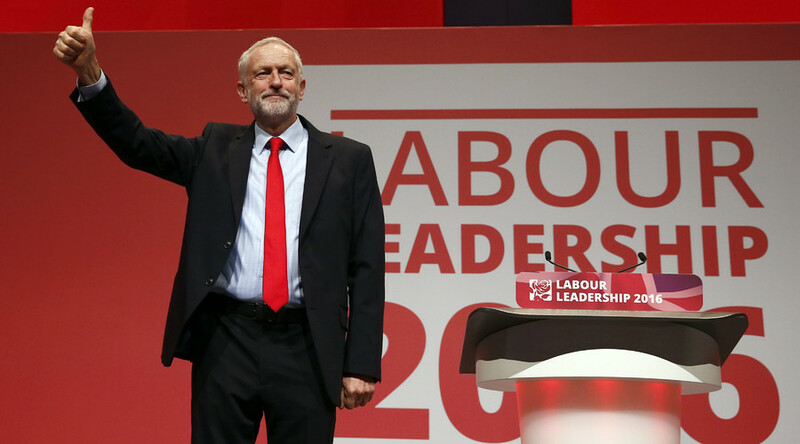 There is no doubting that Jeremy Corbyn has been completely ineffectual as Labour leader. His bizarre ‘letter from Mrs Trellis’ approach to PMQs basically gave David Cameron free shots on goal, with no follow up questions to attempt to pin the PM down. Corbyn was widely praised for his ‘best performance yet’ when challenging Theresa May over her grammar schools policy recently, yet watching it back it’s hardly an evisceration. He’s merely set the bar so low as to have any halfway competent performance seem spectacular by comparison. Where Labour has put pressure on the government, on issues like Tax Credits – aided by Tory backbenchers mind you – it has apparently been accomplished without much, if any, input from Corbyn. Whilst this infighting and incompetence has undoubtedly helped Labour’s collapse in the polls, it merely distracts from the real problem Labour faces, namely that Brits, by and large, don’t want socialism. Make no mistake, that’s all that’s on offer. Owen Smith has skewered himself between trying to earn the support of the PLP and the membership, leading to his entire pitch essentially boiling down to ‘I’m exactly like Jeremy, but with leadership.’ When it comes to policy, they’re very much just slightly different shades of red. Smith pledges to borrow £200bn to try and boost the economy. Not to be outdone, Corbyn raises to £500bn. The two appear to playing economic chicken whilst the electorate at large look on in bewilderment. Labour’s own report into why it lost the 2015 election came to the conclusion that one of the reasons was that the party couldn’t be trusted on the economy. Yet they’re now deciding between two potential leaders who are so far left they make Red Ed look like the Iron Lady. Moreover, far from being anti-austerity, voters overwhelmingly supported the cap on benefits and welfare cuts. In a Populus poll for the Financial Times back in April 2015, a massive 75% of respondents supported then Chancellor George Osborne’s £12bn planned welfare haircut. Whilst voters are in favour of a strong safety net, they’re very much of the view that one should earn your own way in the world if you’re able to do so. This flies in the face of Smith’s commitment to an ‘equality of outcome, not equality of opportunity’. Then there’s the issue of zero hours contracts. Both Corbyn and Smith have continued to back Miliband’s policy – again rejected at the last election – of banning the use of them. This is despite a majority of people on zero-hours contracts reporting that they’re happy with the arrangement and the flexibility they provide. The same survey also showed that more people on zero-hours contracts are happy with their work/life balance than those on fixed contracts. Yet again Labour’s big statism is in conflict with the electorate’s desire to negotiate their own terms of employment. Perhaps the biggest dichotomy on show is Smith’s stated desire, should he somehow find himself in power, to keep the UK in the EU. The vote on June 23 saw more people vote to leave the EU than have ever voted for anything else in the history of this country. They did so to move power one step closer to the individual and one step further away from the state, yet, with a couple of notable exceptions, the authoritarian tendencies within Labour rejected this notion, and now Smith has decided to make ignoring this overwhelming democratic mandate a key part of his leadership campaign. The latest bug-bear of the Left is the potential re-emergence of grammar schools. Vehemently opposed by Jeremy Corbyn, and the source of his vigour at PMQs, the policy also saw Owen Smith denounce the Tories as ‘turning back the clock’. But the move to give parents more options when it comes to their child’s education is, once again, a popular one. 62% of parents would get their children to sit a grammar school entrance exam, according to Yougov, and more people are in favour of expanding the provision of grammar schools than scrapping the existing ones or maintaining the current stock. When it comes to centralisation versus liberation, Labour are once again backing the wrong horse. It is this belief in increased state control, over the economy and much else, which ultimately dooms Labour. Despite what Corbynistas will have you believe, their man hasn’t led Labour to a lead over the Conservatives at any point during his leadership. An average of polls compiled by Britain Elects has the gap at it’s narrowest, a couple of points, in April. But Labour’s position was already deteriorating by the time Hilary Benn was sacked from the shadow cabinet, triggering the mass resignations which ultimately led to the vote of no confidence. This is because on the whole, the British electorate wants the government to leave them alone and get on with it. This is why they rejected Miliband at the last election, rightly judging that his micro-managing economic policies could spell disaster, and why polling has shown they are consistently rejecting Corbyn. Until Labour realise this, and reject the socialism espoused by Corbyn, McDonnell and their comrades on the Left of the party, they are doomed to electoral oblivion, regardless of who happens to be leader.